(a) Relationship Certificate Army Rally Bharti: Relationship certificate issued by concerned Record Office. In case of Ex-servicemen/Widow/Widows who find it difficult to obtain Relationship Certificate before screening, Photocopy of Discharge book duly attested by Village Sarpanch or Zila Sainik Board will be accepted. 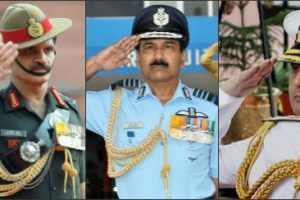 However, such candidates will only be permitted to appear in the written Exam once they submit the Relationship Certificate issued by concerned Record Offices to this center, In Case the Relationship cert is issued to more than one Son of the servicemen, it is reiterated that only one son will be allowed to appear in UHQ rally on the basis of relationship of father. The sponsor has to decide which son should take part earlier. An undertaking to this effect will be submitted by the sponsor that his another son (s) is/are not attending the recruitment rally at other ZROs/AROs/Regtl Centers by using his Relationship Certificate. The same is also applicable for Relationship Certificate issued multiple brothers. (b) Education Certificate Army Rally Bharti: SSLC/Matric/10­­­­­th /10+2/ Intermediate/Higher Secondary Certificates (mark sheet & education board certificate in original alongwith Two self attested copies of marks sheets and certificates) If below Matric certificate and mark sheet duly signed by Principal of the school and countersigned by District Education Officer (DEO) is mandatory. (c) Serving Certificate Army Rally Bharti: Serving Certificate of sponsor with photograph of serving soldier duly attested, and countersigned by OC Unit, if father/brother of the candidate is a serving soldier. (d) Sponsorship Affidavit Army Rally Bharti: As per present policy, a serviceman/ex-serviceman can avail sponsorship facility for one real Son and brother only. Hence, an affidavit by the sponsoring individual to this effect that he has not availed Sponsorship facility earlier throughout his life for his real Son and Brother (As applicable) will be submitted. The affidavit will be made on Rs. 10/- non judicial stamp paper in English with photograph duly attested. It will be signed by Executive Magistrate CI-SDM/Tehsildar/Notary duly affixed his name bearing rubber stamp and office stamp. 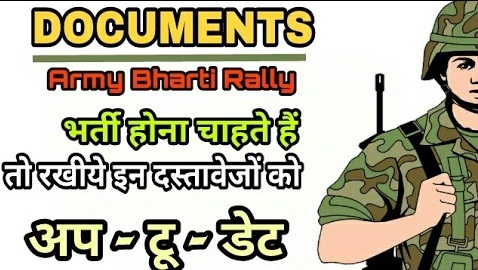 (e) Relationship Affidavit Army Rally Bharti: As per present policy, the genuine and eligible candidates apply for enrolment in Army being wards and brother of serviceman/ex-serviceman relationship certificate will be produced by the candidates at the time of screening. In addition, the affidavit will be made on Rs. 10/- non judicial stamp paper in English with photograph duly attested. It will be signed by Executive Magistrate CI-I/SDM/Tehsildar/Notary duly affixed his name bearing rubber stamp and office stamp. (f) Discharge Book Army Rally Bharti: Discharge book in case of Ex-servicemen with complete details of family members including the candidate. (g) PPO/Pension Book Army Rally Bharti: Pension book/PPO in case sponsorer is battle casualty/ sponsorer’s NOK in receipt of special Family Pension/Liberalized Family Pension/Sponsorer is in receipt of disability pension more that 20% and disability is attributable/ aggravated by Military Service. (h) Character Certificate Army Rally Bharti: Character cert with photograph duly attested and signed by the Village Sarpanch on his letter pad. The certificate is for six months from the date of issue. (j) Domicile Certificate Army Rally Bharti: Nativity (Mool Niwas) Certificate with photo of the candidate affixed, and signed by SDM/TEHSILDAR/ SDO with his stamp. Full name, designation and signature of the Officer issuing the certificate and office round stamp must be recorded legibly. (k) Caste Certificate Army Rally Bharti: Caste (Jati Parman Patra) certificate with photo of the candidate affixed, and signaed by SDM/TEHSILDAR/ SDO with his stamp. Full name, designation and signature of the officer issuing the certificate and office round stamp must be recorded legibly. For general category candidates a certificate to this effect duly signed by Village Sarpanch/Pradhan/Parshad is reqired on his letter pad. (I) Unmarried Certificate Army Rally Bharti: Unmarried Cert duly affixed candidates photograph and attested by Village Sarpancch/Pradhan/Prashad on his letter pad. 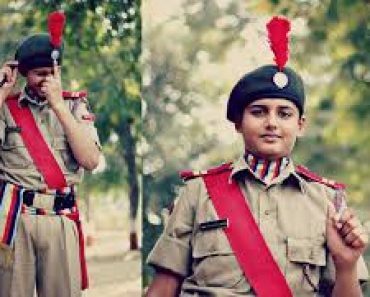 (m) Consent Certificate Army Rally Bharti: Candidate below 18 yrs of age should bring ‘Consent Certificate’ from their parents stating that they are willing for any injury caused during screening. 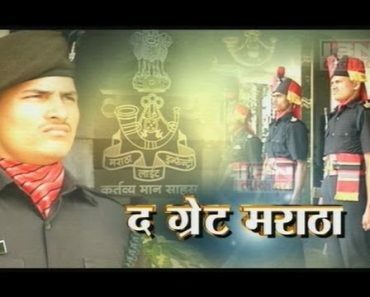 (n) Photographs Army Rally Bharti: 20 latest passport size colour photographs with sky blue background. Polaroid camera photos and computer photos will not be accepted. 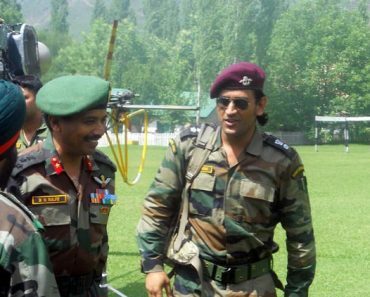 (o) Sports/NCC Certificates Army Rally Bharti: NCC/Sports cert, any. (p) Police Verification Army Rally Bharti: Police verification Certificate with photographs duly attested, and signed by Superintendent of Police. Validity of the same is six months from the date of issue. 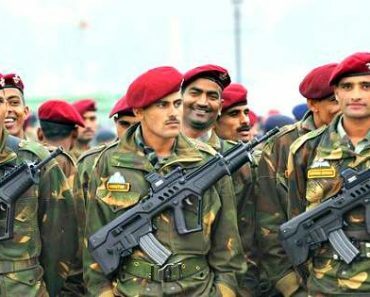 (q) Family Joint Photographs Army Rally Bharti: Character/Pre-verification certificate (Family photo of all members with name, relation and present occupation below the photographs). The certificate should be attested and also verified by the village Sarpanch/Pradhan/Parshad with his stamp affixed on the both side of character/pre-verification certificate. Serving Father/Brother of the candidate in the photograph will be in uniform. No Mixing/Patches in photograph will be accepted. Validity of the same is six months from the date of issue. 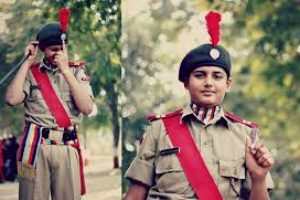 (r) Student Character Certificate Army Rally Bharti: Character certificate with his current attested photograph, issued by the Head of the Education Institution where the candidate is studying. This certificate is valid for six month only. TC/School leaving certificate to be submitted if the candidate is not presently studying. (t) Other Documents Army Rally Bharti: Photograph of Aadhar/UID Card and PAN Card. 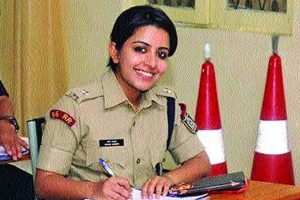 (f) Sports Certificate, NCC Certificate if any. (j) Photograph of Aadhar/UID Card and PAN Card. 5. 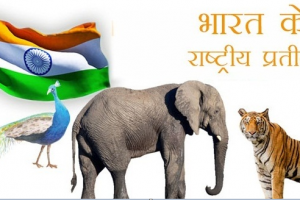 Variation accepted in Age for Relation Bharti: A variation of upto 366 days in date of birth recorded in the official records and the education certificate (10th Class/Metric) of the candidates will be taken as a minor variation and considered for enrolment. Any variation beyond 366 days will be treated as major variation and such candidate will not be considered for UHQ enrolment. 6. Policy Compendium on Recruiting: Enrolment will be carried out strictly as per policy Compendium on Recruiting (JCO/OR) issued by Addl Dte Gen Rtg 5 (OR) and amdts thereto. 7. 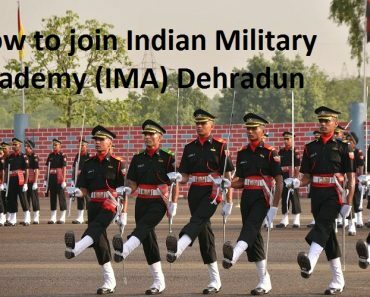 Army auth are not responsible for any injury, death or loss of academic session caused to any candidate during recruitment process. Candidates will have to make their own arrangement during the conduct to entire recruitment rally and must take care of their documents/belongings against theft during the rally. 8. No journey fare will be admissible to the candidates appearing in the recruitment rally. 9. 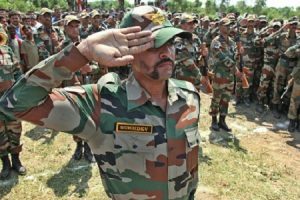 Wards of civil employees who are paid out of Def estimates, BSF, Air Force, Navy, GREF, Assam Rifles and MES are not permitted to attend relation recruitment rally. 10. 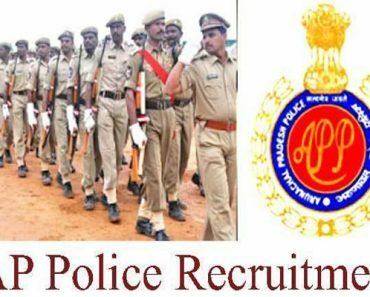 Candidates are advised not to approach any Private recruiting agency or touts for any help. For any query or clarification, please contact Training Center helpline Telephone Numbers or visit to “what is new” at Regimental Center web site. 11. Certificate with overwriting or tempering of seals or erasing of any type will not be accepted.